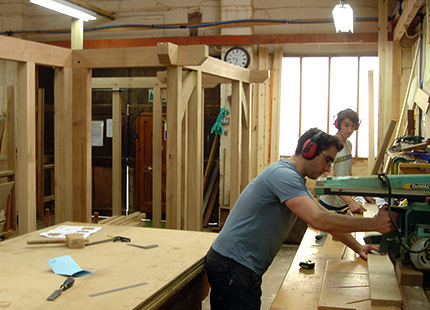 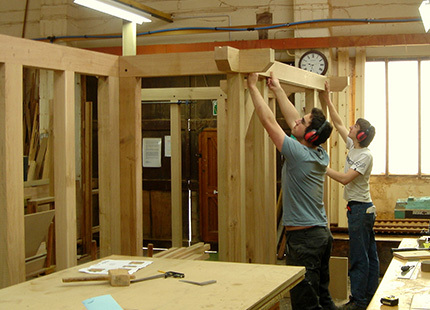 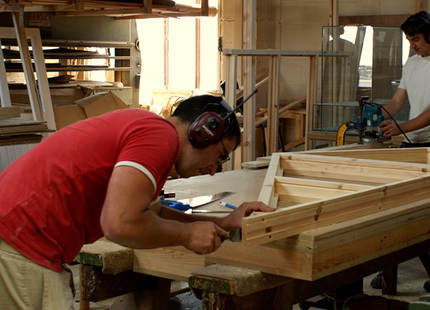 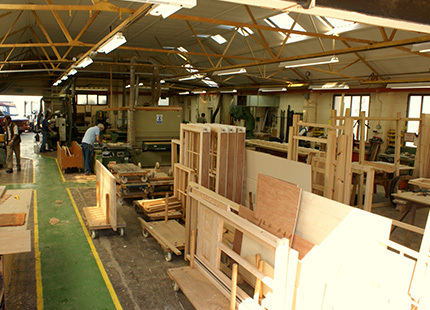 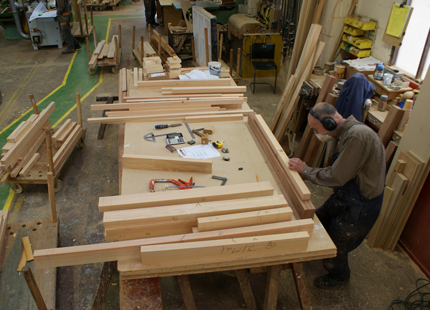 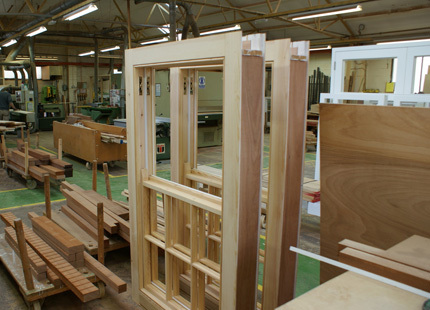 We have a spacious, light & airy workshop that has evolved over the years to meet with the changing market requirements. 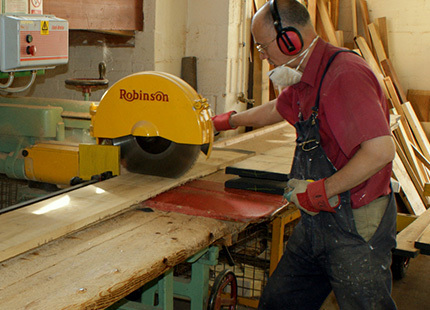 Though we have just bought an excellent refurbished 1980 Robinson chain & chisel morticer to replace ours that we had from new in 1950 – as it was too good not to ! 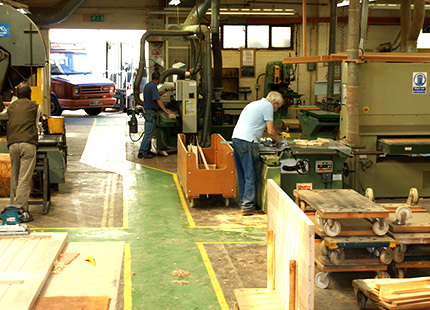 All of our machines have dust extraction where required and are guarded & braked to comply with the latest H&S regulations. 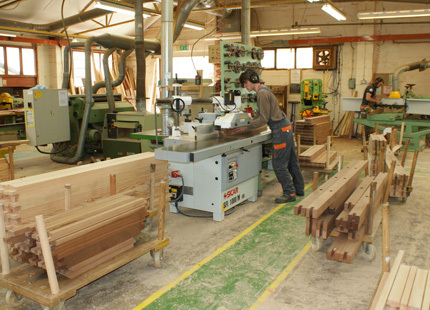 The machines have been laid out to optimise production & to allow for a variety of work to take place simultaneously. 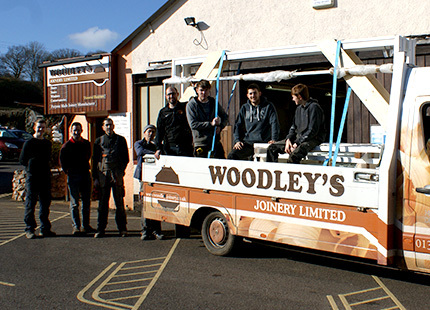 Call us on 01395 548 303 to find out more. 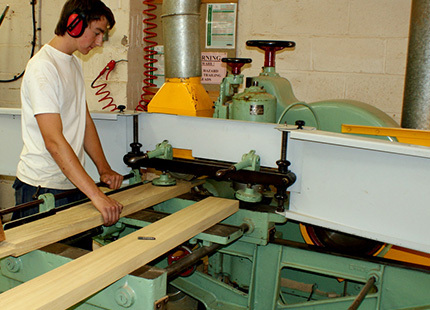 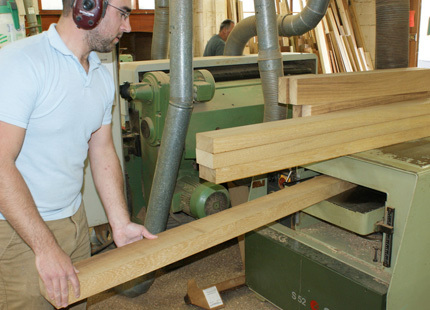 Most of our joiners are trained to use all of our machines, enabling them to make a wide variety of work right through from start to finish – which provides them with greater job satisfaction and increases their skill level.